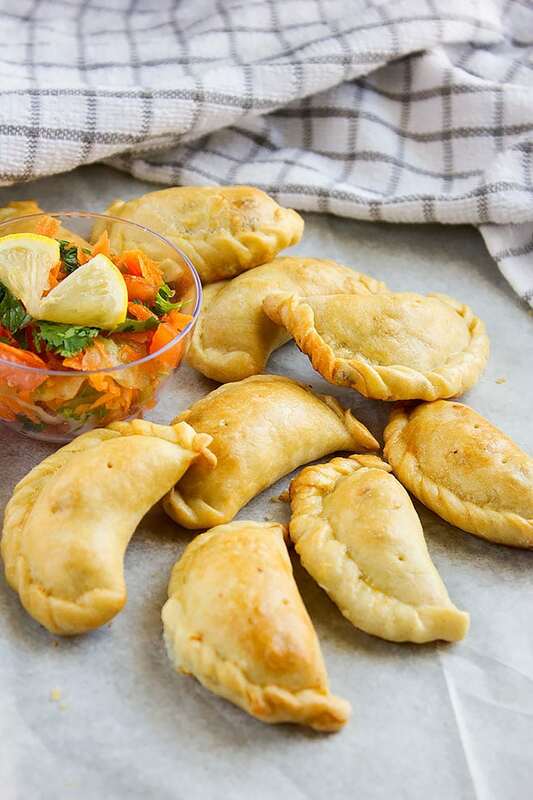 Beef Empanadas – One of my sisters (the one who never show interest in cooking.) Entered the living room where the family usually spends late afternoon time to watch TV and declared her decision to cook for the day! The sound of the fire brigade sirens filled our heads but we were also thrilled. My sister went to the kitchen with a cookbook and asked that no one should disturb her. Knowing how short-tempered she can get then (she was a teenager at the time), we left her alone to concentrate on her experiment/project. We heard noises, we heard something break, and we heard some huffing and puffing coming from the kitchen and although we were curious, we didn’t go near the kitchen. After few minutes, the smell of caramelized onion filled the air, I then knew that my sister was serious. The curiosity got intense and drove me and my other sister to the kitchen, we dropped the patients and were ready to face the consequences! The unusual cook was busy fighting the dough and I guess she reached a stage where she didn’t care who was with her in the kitchen. She was making beef empanadas and some empanadas were filled with feta cheese. The three sisters were in the kitchen at that time, we helped in filling the empanadas and it was fun. Those empanadas were delicious, the dough was flaky and buttery, the beef was tender and perfectly seasoned. The combination was just perfect! 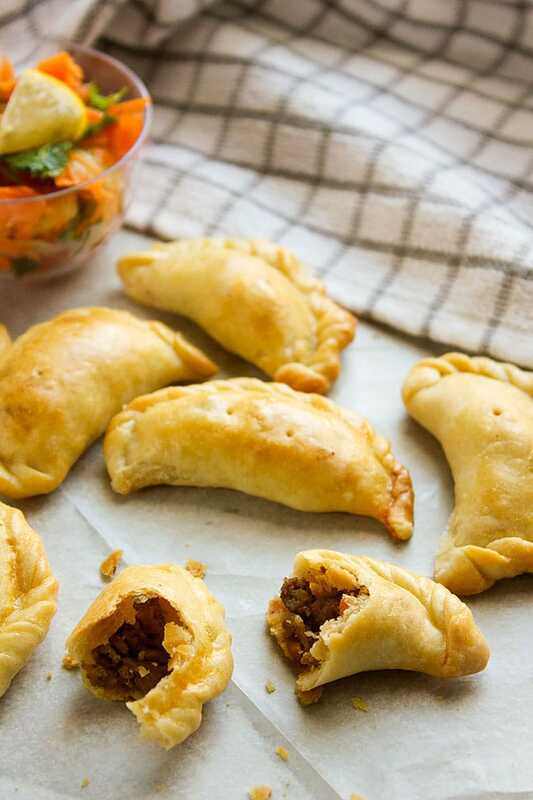 Today I’m sharing with you one of my favorite Latin American delight beef empanadas. 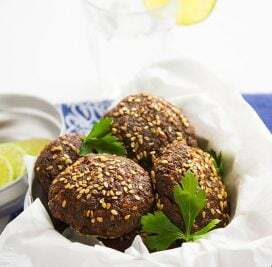 These mini beef pies are great to serve in parties and they freeze well. Fill them with ground chicken or cheese. 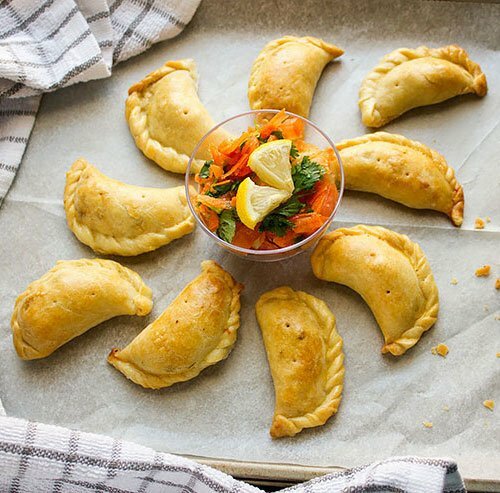 The empanadas can be baked and fried. 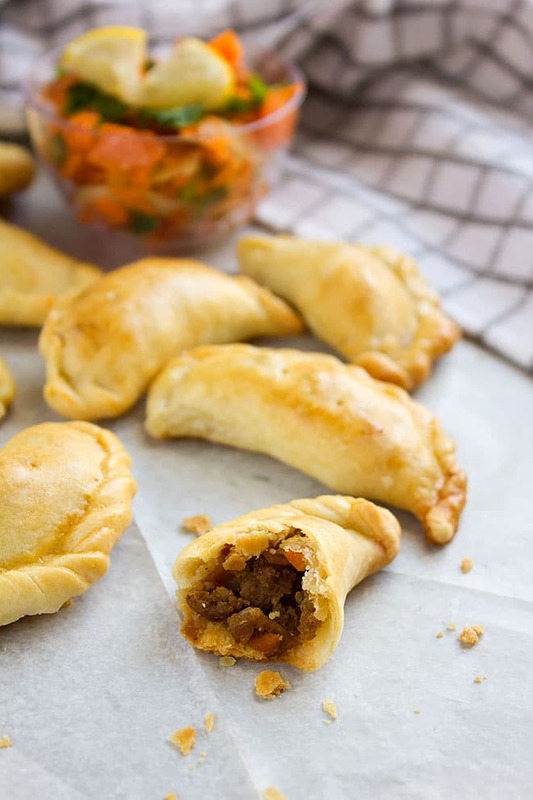 You don’t have to guess, the fried version is tastier but the baked version is amazing too, in this recipe we are going to bake the beef empanadas and you can serve them with your favorite dip or salsa. 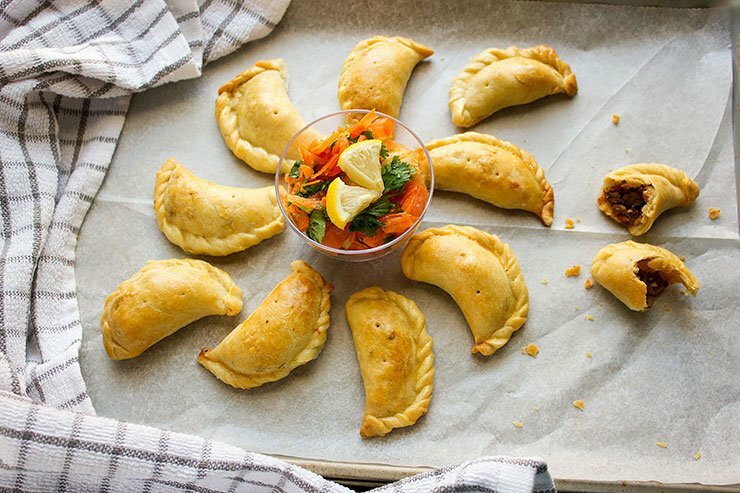 Making empanadas is easy and you don’t have to go shopping for special ingredients. Why not make some today? 1 teaspoon adobo If you don’t have adobo, mix ¼ teaspoon onion powder, ¼ teaspoon garlic powder, ½ teaspoon oregano, ¼ teaspoon black pepper. In a bowl, add the flour, salt, and butter. 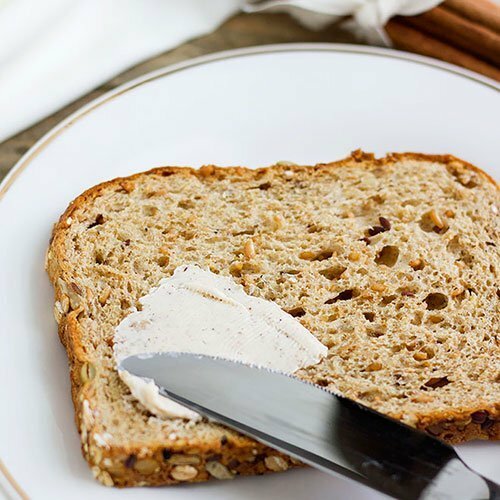 Mix the butter with the dry ingredients using your fingers or in a food processor until you get breadcrumbs like texture. Mix the water, vinegar, and milk together and add to the previous mixture. Mix until combined cover and refrigerate until you are done with making the filling. In a pan, add the oil and when hot add the onion. Sauté the onion until translucent then add the ground beef. When the beef is no longer pink cook for two minutes then add the rest of ingredients. Cook on medium-high until the beef is cooked. Let the filling come to room temperature or until slightly warm. Preheat oven to 400F/200C, place parchment paper on a baking sheet and keep aside. Form 10 equal size balls from the dough and roll out to ¼ inch thick on floured surface. On a floured surface roll the whole dough to rectangle shape which is ¼ inch thick. 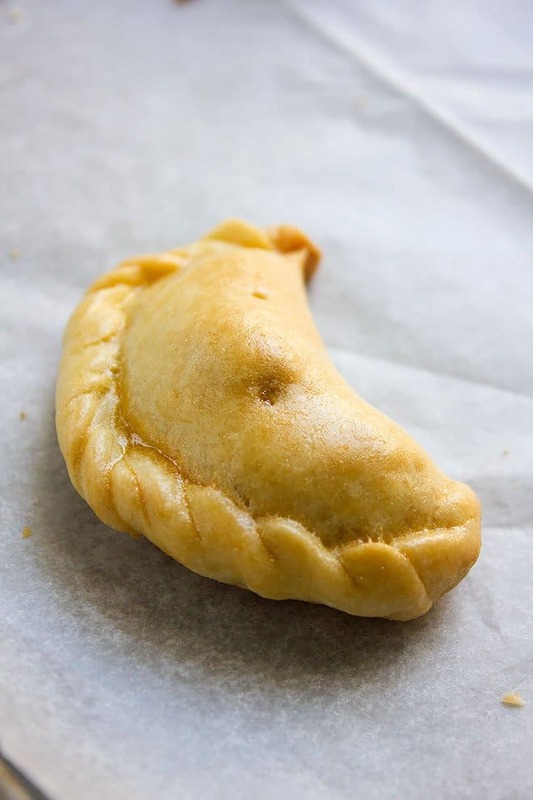 Using a round cookie cutter cut the dough into circles, it’s up to you to make the empanadas small or large in size. Place one teaspoon or more (depending on the size of empanadas you made) from the filling in the center. Fold half of the circle over. Press the edges together firmly then press gently with a fork to seal completely. Brush the empanadas with either milk or beaten egg. 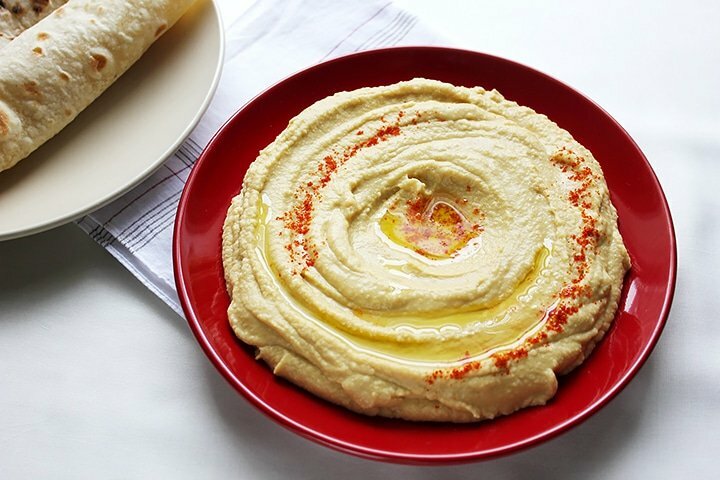 Place on previously prepared baking sheet and bake for 17 to 20 minutes. One of my favourites! 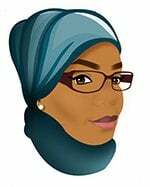 Yours look great, Muna. Happy Sunday!